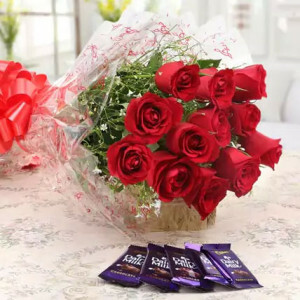 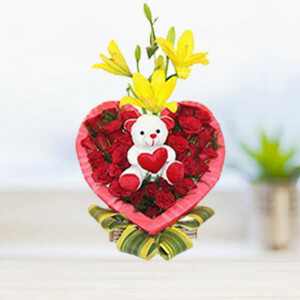 Send your love with gorgeous flowers in Mathura, with online flower delivery from MyFlowerApp. 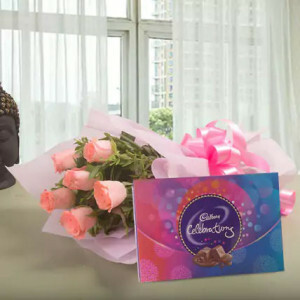 There is nothing that speaks the language of love as flowers do and what better way of expressing your emotions in the City of Lord Krishna than a romantic gesture? 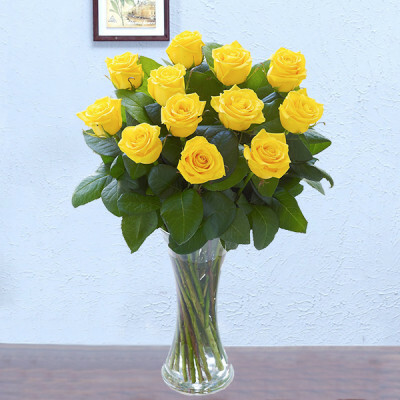 Choose from our extensive collection, and we will deliver anywhere in the city within 3 hours. 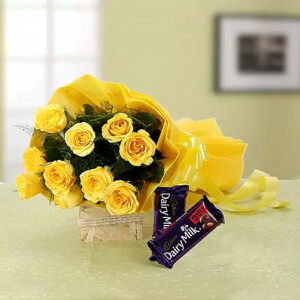 The bombardment of innocence -This 12 yellow gerbera bouquet will convey a brilliant dash of purity to your loved ones on their precious moments. The bouquet is wonderfully arranged in yellow paper packing that adds more beauty to this. 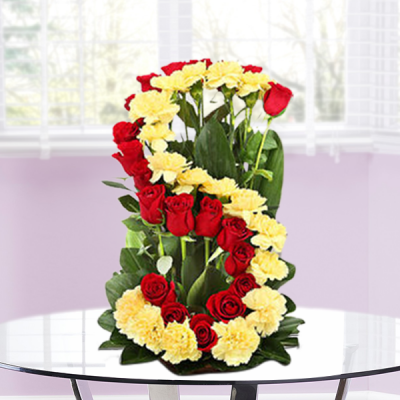 Make your special occasions a pompous situation by presenting this fantastic flower arrangement to your loved ones. This is a beautiful arrangement of 60 red n white roses. 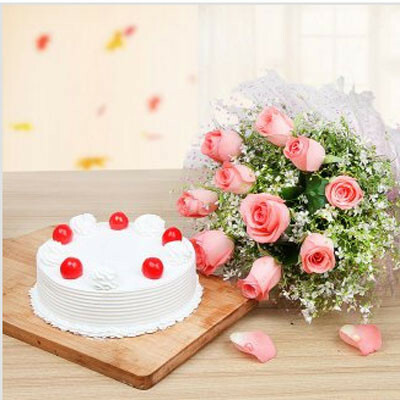 The white roses are artistically arranged and give a tempting look. 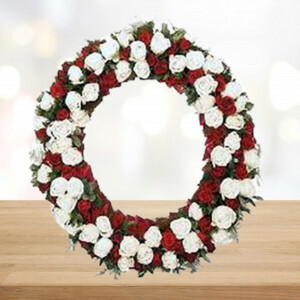 White roses stand for purity; authenticity; innocence; unity as well as loyalty. These roses will make your ordinary day simply impressive. 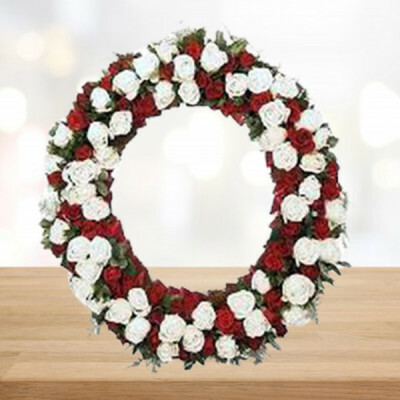 This heart-shaped 30 white roses arrangement is an ideal combination of attraction and sophistication. White roses would show your deepest admiration and love for your dear ones. 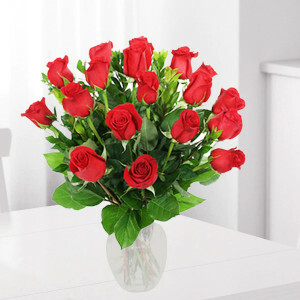 Roses have their own attraction as they are matchless and gorgeous. 15 White roses are taken together in a basket to make a beautiful gift. 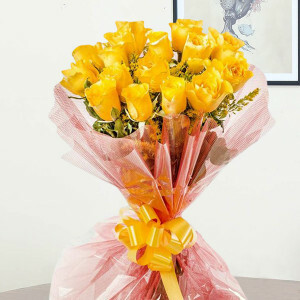 A cluster of striking flowers is certain to make any special day or celebration more thrilling, colorful, and memorable. 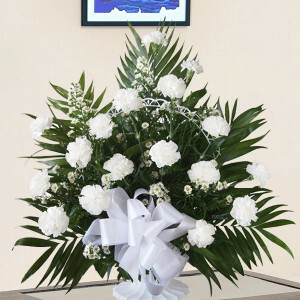 The bunch of 6 white orchids is ideal to produce a long-lasting impression on your dear ones. 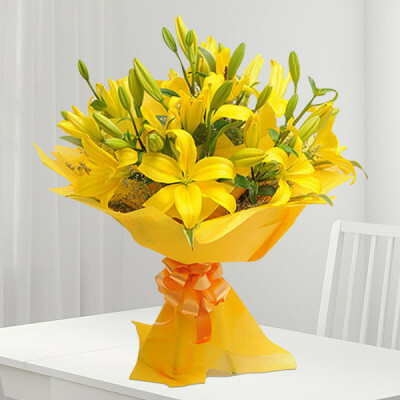 A bunch of 4 glamorous lilies is sure to make any day or event more thrilling and colorful. 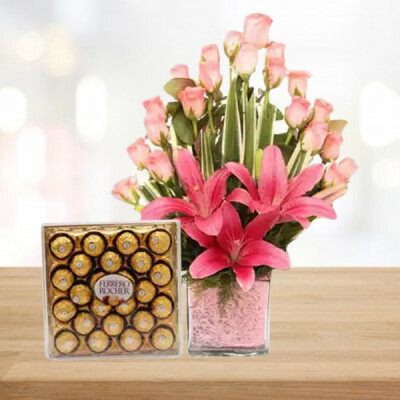 The bunch is ideal to produce a lasting intuition on your near and dear ones. - 4 White Asiatic Lilies. 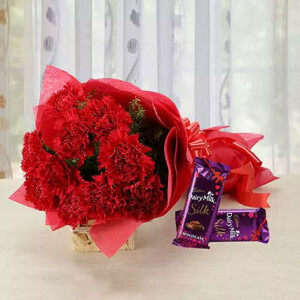 Show your love, devotion, and care to your special ones in an affectionate way by gifting this dazzling bunch. 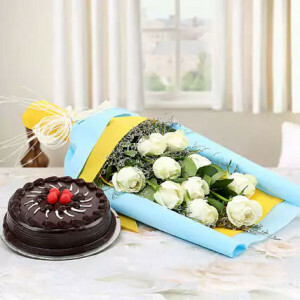 Send finest wishes to your loved ones in your life with this appealing and exotic arrangement of 12 white gerberas. The white carnations represent your love, care, and affection for your loving partner. 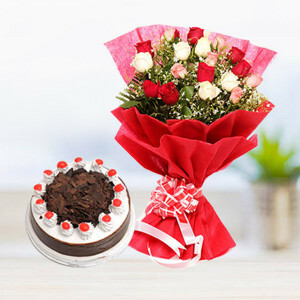 Present these attractive flowers to your partner and express your long-lasting and visor dedication for them. 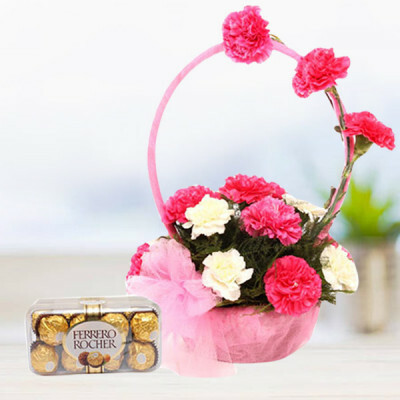 Obtain this charming basket of 12 white carnations and make your partner happy. 500 Roses in a Basket. 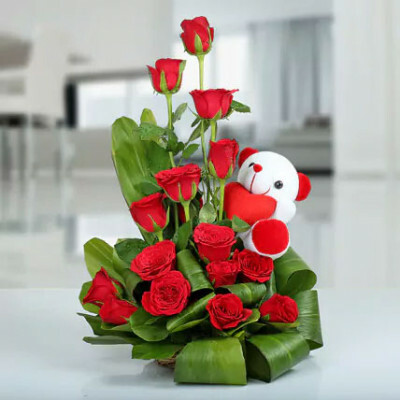 Express your true love on this Valentine’s Day by selecting our red roses vase containing 15 fresh, hand-picked roses perfectly arranged in a glass vase with fresh, seasonal green leaves. 10 white roses bunch with half kg chocolate cake. 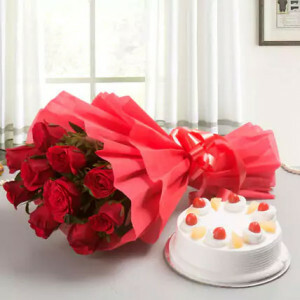 10 red roses bunch and half kg pineapple cake. 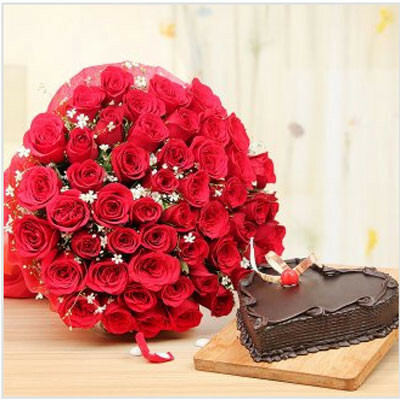 12 mix roses bunch with half kg black forest cake. 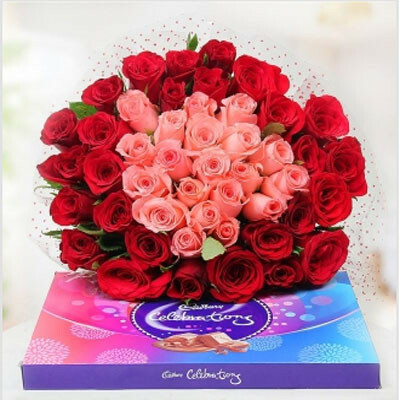 18 pink roses bunch with 3 purple orchids and half kg chocolate cake. 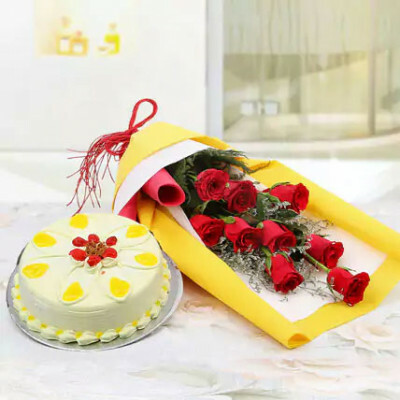 10 red roses bunch with half kg pineapple cake. 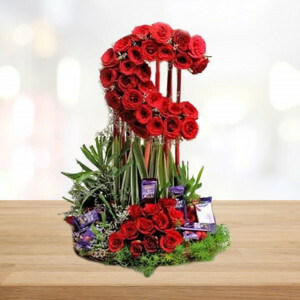 Designer bunch of roses, carnations and lilies with half kg chocolate cake. 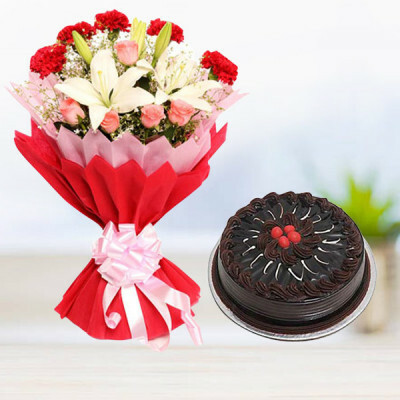 45 red roses bunch and half kg heart shape chocolate cake. 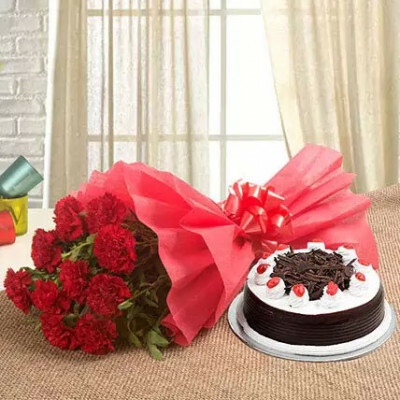 10 red carnation bunch and half kg blackforest cake. 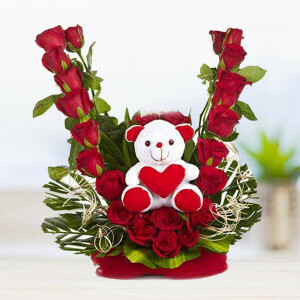 Designer basket of orchids, red roses and pink carnations with 6″teddy. 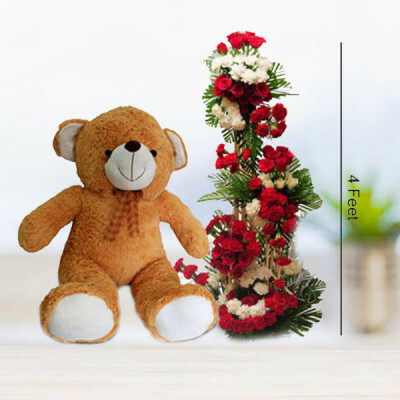 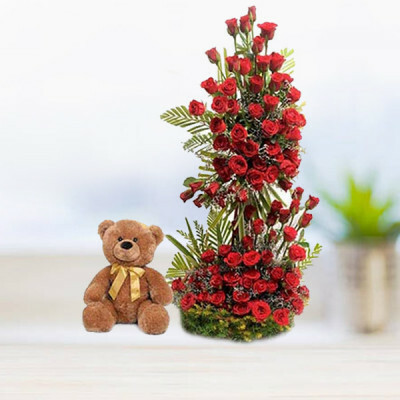 4 feet colourful flower arrangement and teddy.